Discussion in 'Announcements' started by c0wg0d, Jun 1, 2017. Our new lobby is now live! This new lobby is much easier to navigate and should get you into a server and playing your favorite games fast. Try out the new jump pads! We will add more fun things to do in the lobby in the future, but we felt it was important to launch it as is now to make sure everything else works as you would expect. Please report any bugs or issues you see with the new lobby and I'll get them fixed ASAP. Thank you @hamsrus1 for the map, it's gorgeous! I wanted to re-launch Hogwarts on the new Adventure server along with the new lobby, but I ran into several issues while updating the map to 1.11.2. I hope to have this resolved soon, and I am working hard to make sure everything works just as before in the lobby, including your inventories, enderchest contents, and shopkeepers. The main issues I am having right now relate to the magic wands and pets. Please have patience as I work through these issues. Thank you for your support! OMG OMG I NEED TO SEE THIS!!! TYSM MODS! Now your making me cri inside because I remember the old floating sandstone hub. Can't wait to check this out though! Screenshots of the new lobby. Look where the jump pads got me! It's gorgeous, I love how you guys have spent so much time on it! I can't wait to check it out, Thank you. Whoa! These jump pads are awesome! Oh wow! Will the old map be up for download? 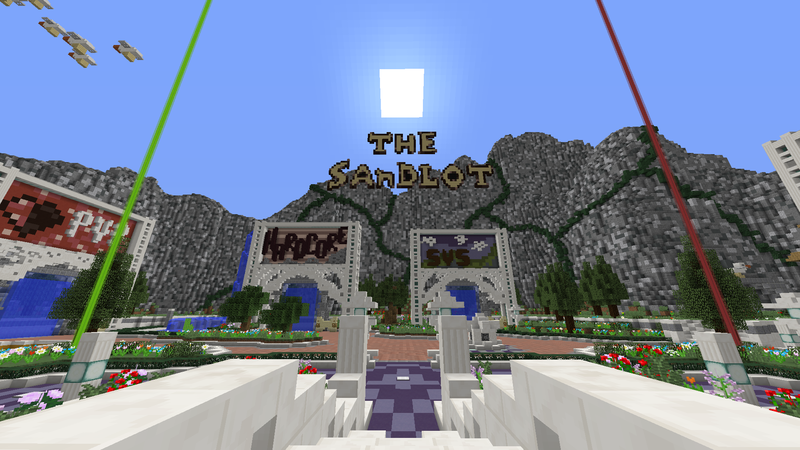 The majority of this now lobby was the work of none other than our dedicated Hamsrus1! Please be sure to swamp her with thanks when you see her! W H A T ? ! ? ! HAMS THANKS!!!!!!!!!!!!!!!!!!!!!!!!!!!!! What is this adventure server? Might just have to get on to check it out. This is great @hamsrus1 and thanks for all the technical work @c0wg0d!